As an autistic adult, Trevor wants parents and younger children to learn about autism first-hand, so they use his experiences to know what to expect and how to cope with the challenges. Autism is a broad spectrum, and every person on the spectrum is different, but there are also similarities. 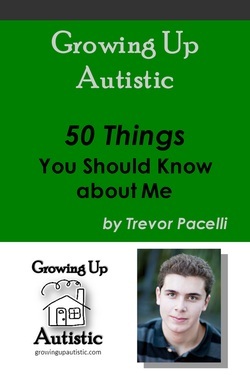 Trevor has answered these 50 questions with the transparent honesty typical of autistic individuals, and it is his hope that children, parents, relatives and caregivers can learn and relate from his insight. What types of therapy did you receive, and how did it help your autism? What was your favorite thing about school? What advice would you give teachers of autistic students? How did your autism affect job-hunting, interviewing and working, and what did you learn from it?